You can also earn one lakh rupees in line with Indian Railways. For this, you have to do a simple job while sitting at home. Yes, you do not even need to go out of the house. For this, you have to give ideas for the development of the railway. But the condition is that this idea should be very different. Let us tell you that the Railways has been focusing on the facilities of the passengers for the last few days. That is why, for the passenger amenities in the past, the large budget was sanctioned in the railway. Railways are trying to increase their income to provide better facilities to the passengers. 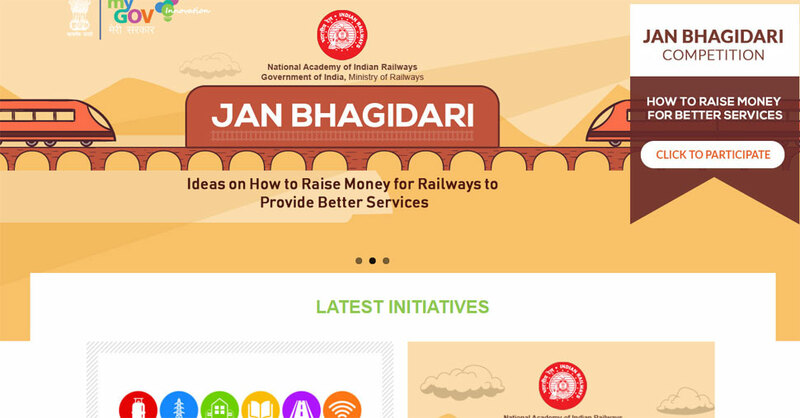 For this, the Railways have started a competition, this combination has been given the name 'How to Raise Money for Railway to Provide Better Services' to provide better services for the railways. In this, the people have sought suggestions from the people to increase their income. The best advocate will be given a reward of Rs 10 lakh from the Railways. In this Competition, the winner of the second position will be given Rs 5 lakh and the third number will be given Rs 3 lakh. Apart from this, the person who comes in the fourth position will get Rs 1 lakh as award. If you also want to participate in this competition then register at https://innovate.mygov.in. Now please read the guideline carefully here. Then click on the 'Login to Participate' at the bottom. Login here via your e-mail or mobile number. Now after filling all the information sought in the online form, submit it. Confirmation will match you on submission. There is a condition for the participants to participate in the competition on behalf of the railways that your idea should not be more than a thousand words. For this, you have to write the result of 250 words separately. Participant must be sent in his Idea PDF or PowerPoint Presentation. File size should not exceed 8 MB. If you also want to participate in this competition, then you can submit the online form by 6 PM on May 19. You can give your ideas in English or Hindi in any language. A candidate participating in the competition should have a maximum life age of 18 on March 20, 2018. Indian Railway employees can not participate in this competition.